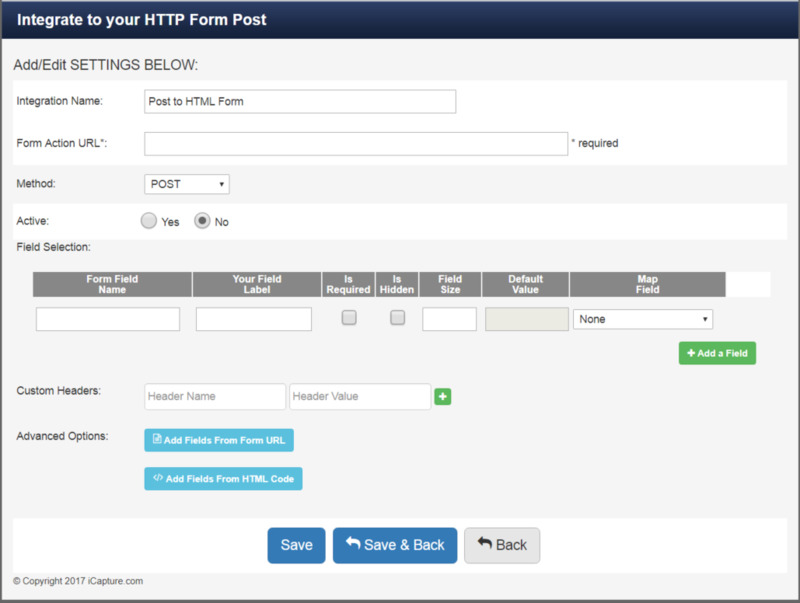 Note: In order to use the Post to HTML Form you will need to create a form using your CRM and have the Form Action URL for it's location in order for iCapture to connect to it. If you are unsure, please refer to your CRM Administrator or web developer. Create the Form Field Names as they are in your form as well as any custom headers. You can also try to have iCapture pull those fields from a form URL or by pasting in the form HTML code. The Form Action URL is required. In the Click Here to Select Integration select your Post to HTML Form integration and click "Add List Assignment"